Have you heard the phrase “dead man’s float” before? Well, if you have and someone has described your sleeping position with that phrase, then you are one of the few stomach sleepers that we have in the world, and this article is for you. As a stomach sleeper, getting adequate support to sleep can be challenging and as a stomach sleeper yourself, you must have felt some stiffness or pain in your back or neck at one time or the other. If you do not have the right mattress for a stomach sleeper, you will have to deal with these issues every night, and this could cause a great deal of discomfort for you every time you sleep. In this guide, you will find a compilation of vital pieces of information that you should have about stomach sleeping and the best mattress for stomach sleepers. We will also cover the important things to look for when you go shopping for a new mattress. Does sleeping on your stomach affect you in any way? Sleeping on the stomach may feel comfortable initially, but after some time, it can get really inconvenient. First off, getting your spine aligned while sleeping on your stomach is difficult especially if you are sleeping on a soft mattress; your spine could bow at your hips. This will result in putting pressure on your joints, muscles and spinal discs and if you continue sleeping in that position, it could lead to tingling, numbness, and pain in the back. Secondly, sleeping on your stomach can cause severe pain in your neck. This sleeping position makes you rest on your neck at an awkward angle, and for you to be able to breathe, you will need to turn your neck to either your right or left. Sleeping this way for hours will strain your neck, and if you have a thick pillow, it will raise your head and your neck at a high angle, and this will put your spine out of alignment. This discomfort in sleeping can make you have a night of restless sleep. You will find yourself readjusting and changing positions throughout the night. WHAT ARE THE THINGS THAT A STOMACH SLEEPER MUST KNOW? A stomach sleeper should know that mattresses with a medium level of firmness are the best for them. On a 1-10 scale, the level of firmness should be somewhere around 4 to 7. The mattress that a stomach sleeper will get should also offer great support that can hold the weight of the body, provide excellent contouring and allow natural spine and body alignment. The best mattresses for people who sleep on their stomach are innerspring mattresses, foam mattress, and hybrid mattresses. A stomach sleeper should pay as much attention they would pay to their mattress to their pillow. A soft pillow is recommended to provide enough support to the head and neck. The best type of pillow for a stomach sleeper is the type that can be easily molded and scrunched. These types of pillows are made from feathers, down, polyester or thin foam. A stomach sleeper needs a flat pillow so that the spine can be appropriately aligned. As a stomach sleeper, the common issues you will experience include neck pain, back pain and pressure and pressure in breathing. WHAT ARE THE FEATURES THAT A STOMACH SLEEPER SHOULD LOOK FOR IN A MATTRESS? WHAT ARE THE TYPES OF MATTRESSES AVAILABLE? IS SLEEPING ON THE STOMACH SAFE FOR PREGNANT WOMEN? WHAT ARE THE EFFECTS OF STOMACH-SLEEPING ON THE BACK? DOES STOMACH SLEEPING HAVE ANY BENEFITS? Saatva is an innerspring mattress, and it is one of the few that you can purchase online. It has three levels of firmness and two heights; you can easily customize your bed to suit your preferences. Saatva Luxury Innerspring Mattress features a coil-on-coil construction which makes it a durable option and the European pillowtop that comes with it gives it a feel of luxury. The Plush Soft Level: This firmness level is between 3 and 3.5 on a scale of 1 to 10, and it is highly suitable for sleepers who love to sleep on soft mattresses. It is also well-suited for side sleepers and sometimes back sleepers. It is the firmness level that has the highest amount of conformability. The Luxury Firm Level: This level falls between 5 and 6 on a scale of 1 to 10. It is like the middle ground of firmness levels in terms of contour and support provided. Any sleeping position should find this level comfortable, and it is especially suitable for couples where one person changes position regularly or is a restless sleeper. This is the most popular Saatva Mattress model, and the owners make up about 80 percent of Saatva’s customers. The Firm Level: This is between 8 to 10 and is well-suited for back sleepers and stomach sleepers who want to sleep on a firm mattress. 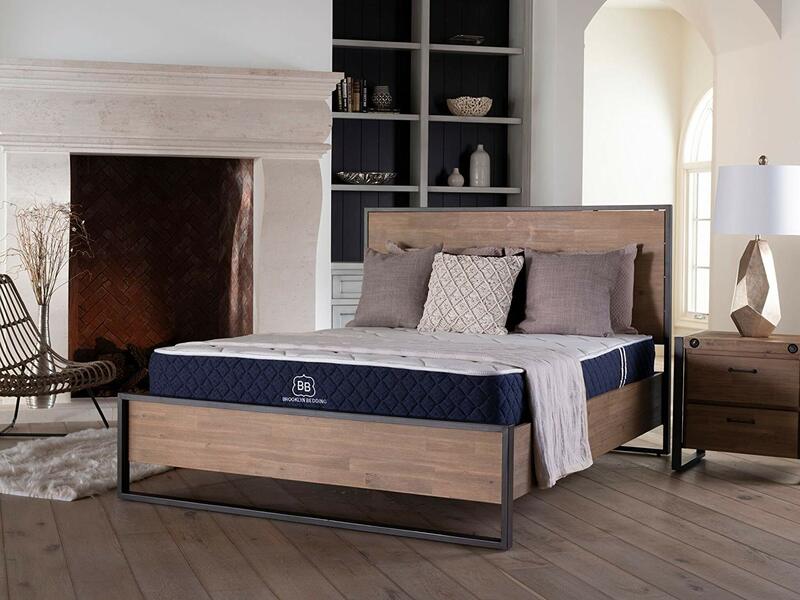 The Saatva Mattress is wrapped in a 13g gauge, 4-inch pocket coils that are responsible for conforming to the contours of the body just like memory foam with excellent motion isolation. The Saatva Mattress has a dual perimeter edge support system around the wrapped comfort coils. This edge support prevents sagging when you sit at the edge of the mattress. It features a memory foam layer which provides adequate support to the lumbar spine as well as relief to pressure in the lower back. The base support core is made of steel coil is made from 14.5g gauge Bonnell coils. The Saatva Mattress also contains regular foam of 1.25 to 1,5 inches. This memory foam is covered with an organic cotton cover of 0.75 inches of fiber. Instead of sewing the cover to the mattress, the mattress is placed inside the cover to hold it together. The Saatva Mattress is manufactured in twenty factories; 19 in America and One in Toronto to cater to the customers in Ontario. There are also 135 fulfillment centers which enable the mattress travel below 100 miles thus reducing the carbon footprint of the company. After construction, the Saatva mattress is packaged in plastic with thin openings through which air gets into the mattress. These tiny openings also keep dust particles and bed bugs out of the mattress. You need to note that The Saatva bed is not entirely organic. Although, the support core of the mattress is made from recycled steel and the outer cover is made from hypoallergenic organic cotton. The memory foam is also made from environmentally friendly materials and therefore, satisfies all eco-friendly standards. The thistle barrier of the cover of the mattress is a fiber mesh made from plants which are used to create the flame-retardant barrier that does not contain toxic chemicals. The Saatva Mattress is supplied from Council Bluffs, Iowa and CertiPUR-US has certified the memory foam layer to meet all the requirements such as low emission VOCs for quality indoor air and does not contain elements that deplete the ozone layer. Its constituent elements also do not contain mercury, heavy metals, lead, phthalates, and formaldehyde. All of the foams are manufactured in the United States while 85 percent of the other materials used to make the foam are gotten from the US. Pure Green Natural Latex Mattress is a latex mattress that comes in three firmness levels and two height variants. You can get it in two layers or three layers depending on whether you purchase the one with a height of 7 inches or the one with a height of 9 inches. The 7-inch variant has a 6-inch base Dunlop latex layer and a 1-inch quilted wool layer while the 9-inch variant has a base layer of 6 inches made from Dunlop latex and a 2-inch softer Dunlop latex and the 1-inch quilted wool. You can get the Pure Green Natural Latex Mattress in all standard bed sizes. This mattress comes in three firmness levels; 4-5 (Soft), 6-7 (Medium) and 8 (Firm). With these options, the user can choose their preferred level of firmness based on their individual preferences, sleeping position, and comfortability. For side sleepers, the mattress with soft firmness level is recommended while the medium setting is suitable for both back and side sleepers. Stomach sleepers should buy a Leesa Mattress with the firm setting so they can get a more solid feel. But again, remember that the kind of mattress a person will buy is up to that person’s personal choices and preferences. The latex layer of The Pure Green traps motion and isolates it in the part of the bed where the movement is occurring. This helps prevent a restless sleeper from disturbing the sleep of their more restful sleeper. Pure Green beds offer a great deal of edge support compared to foam and latex which does not provide as much edge support. According to customers’ feedbacks, this mattress does not have excess sinkage around its perimeter thanks to the 6-inch base layer used for the support core of the mattress. Latex does not sink easily as memory foam does and these beds do not retain heat like foam mattresses. Customers who bought Pure Green Mattress gave feedbacks that they enjoy a relatively cool sleep on the mattress. Usually, before a mattress is shipped, it is compressed into a box, and this causes a buildup of odor in the mattress that lingers in it during the first few days of use. This odor exists in the Pure Green Latex mattress, but it usually disappears within a maximum of two days. Dunlop latex is used in the production of Pure Green bed is highly responsive to weight and pressure; therefore, once your weight hits the mattress, it responds to your pressure points and relieves pain around your joints. A lot of sleepers find the Pure Green bed profoundly comforting and supportive. The latex layers of this mattress conform to your body contours and do not sink like memory foams. This ability to conform helps ease pain and pressure around the joints. The Pure Green bed has been reported to last long and stay in shape over time without indentations or sagging. Although the bed has only been in the market for only a few years so we cannot put a number of years on it to ascertain how durable it is. SLEEP ON LATEX also does not disclose the ILDs and densities of its mattresses; therefore, we cannot predict accurately how durable the mattress is. Pure Green Dunlop latex allows for rigorous sexual activity because it is bouncy and responsive. 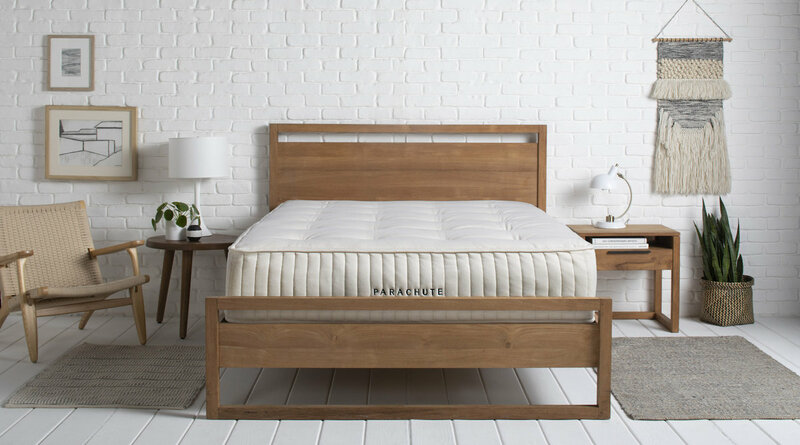 WHAT KIND OF SLEEPER SHOULD USE PURE GREEN NATURAL LATEX MATTRESS? Choosing a bed is a personal decision, and there is no one-brand-fits-all. Before you choose your bed, consider your sleeping position, personal preferences, body type, health conditions, and weight. Think about how much support you need and how comfortable you would want your bed to be. Therefore, it is advised that you should look out for beds/mattresses that offer sleep trials so you can be fully sure that the mattress you are buying is one that you are personally comfortable with. Sleepers below average weight (under 130 pounds) all rated the Pure Green mattress highly as well as sleepers with average weight (between 130 and 230 lbs.). All types of sleepers within the average weight and below average weight all gave high ratings to Pure Green Mattress. Above-average sleepers with weight more than 230 lbs. did not leave much positive feedbacks for Pure Green Mattress. It delivers to you, a refreshing sleep through the night. It comes in three firmness levels to suit a variety of preferences. It is a luxury mattress but affordable. It offers more durability than a lot of other mattresses. For every Pure Green Mattress that you order, you have the option of home delivery service. Pure green has a highly responsive and outstanding customer service team. The company is relatively young and thus, does not have much references in terms of product longevity and durability. It takes time to take delivery of the product. You may have to pay extra to cover delivery charges. This mattress is considered the best memory foam mattress. It is made up of three layers – one firm support core and two foam comfort layers. This foam is covered with a stylish fabric cover and the cooling Avena foam sets this mattress apart from the others as it makes you remain cool throughout the night. It comes in one firmness level, and you can find it online across various e-commerce retailers. It is available in 10-inch sizes. WHAT IS THE FIRMNESS LEVEL OF A LEESA MATTRESS? On a scale of 10, The Leesa mattress comes in a medium firmness level of 5 to 6. This is the only firmness level that the mattress comes in and regardless of sleeping position, it contours to the body and provides adequate support. This medium firmness level also helps make sure you do not sink too far into the mattress so that you can easily change positions when sleeping. Leesa Mattress promises a “universal adaptive feel” for all kinds of sleepers, but averagely-weighted sleepers will enjoy its best performance. The mattress may be too firm for individuals with lighter weights and those with heavier weights may not find the mattress firm enough. In addition, sleepers who are looking for a plush, soft cloudy mattress may not like the Leesa mattress. The Leesa mattress has three layers. The 2-inch topmost layer made from Avena foam and is responsible for keeping you cool through the night. The 2-inch middle layer memory foam that offers contour and comfort. The 6-inch bottom layer that serves as the support core for the entire mattress. Memory Foam Mattresses are designed to provide you ultimate comfort and body contouring. However, most foam mattresses that offer these features are guilty of heat retention because they contour to your body and wrap around you; therefore, they trap heat inside them. This is why Leesa adopted the Avena foam top layer which has perforated openings to increase breathability and maximize airflow. The Leesa mattress is a hybrid mattress; that is a combination of latex foam and memory foam. The top layer is responsible for keeping the mattress and the sleeper cool while the middle memory foam is responsible for contouring. Foams with higher densities are also known to make the sleeper feel warm, but they are more long-lasting than other types of foam. The Leesa mattress has a low density, and this is why it delivers a great deal of coolness and has low heat retention. CertiPUR-US has certified Avena foam to have satisfied all standards and requirements, and it contains low amounts of allergens. This also proves that its constituent ingredients are not made up of ozone depleters and the mattress itself does not contain PBDE flame retardants, phthalates, led, mercury, formaldehyde and any other metals. Leesa mattress also passed the low volatile organic compound emissions for indoor air quality. The mattress comes in a fire-retardant casing and has a cover made from a fabric made from a blend of polyester and lycra. Leesa mattresses are designed in Virginia in the United States of America and manufactured in California, Pennsylvania, Texas, and Indiana. The box is made in Indianan while the cover is made in North Carolina. Motion Isolation: Leesa delivers excellent motion isolation that separates movement on one side of the from the other side. What this means is that the movements of an individual sleeping on one side of the bed will not disturb the sleep of the other person on the other side of the bed. Edge Support: Leesa offers little or no edge support as you cannot sit on its edge without sinking into the mattress. Heat Retention: The Leesa mattress may consist of the Avena foam layer which makes it cooler than other foam mattresses, but the fact that it is a foam mattress makes it retain some heat inside. Off-gassing: When newly purchased, you will experience an initial odor, but after a few days or weeks of use, this odor dissipates completely. Support: The Leesa mattress will provide adequate support if you are of average weight. It also relieves your pressure points and pain in your back. Conforming: The Leesa mattress is not a soft mattress; therefore, it may not offer as much hug as you would get from similar mattresses. Durability: Users of the Leesa mattress have reported that their Leesa mattress lasted for about 6 years. Sexual activities: The Leesa is not a very bouncy mattress, and it does not weigh as much as other mattresses do; thus, it is not exactly an excellent candidate for sexual activities. To make the most out of your Leesa mattress, place the mattress on a metal frame or a platform bed. The mattress is also compatible with adjustable bases. WHAT TYPE OF SLEEPER CAN THE LEESA MATTRESS SUPPORT? The Leesa mattress has an adaptive feel and is suitable for average-weighted sleepers from 110 pounds to 200 pounds. It is also comfortable for any sleeping position most especially back sleepers. It can be too soft to support sleepers who sleep on their stomach. However, regardless of all of these, finding a mattress is a personal thing and you have to make sure you get a mattress that keeps your spine properly aligned irrespective of the position you sleep in. It helps you sleep cooler than other foam mattresses. It has a lighter weight than other similar mattresses. You get to enjoy a 100-night sleep trial. It does not have varieties as it comes in only one firmness level. It has an initial off-gassing odor after unpacking the mattress. It does not support individuals that weigh more than 300 pounds. This is the best hybrid mattress as it is constructed with a combination of pocketed coil layers and foam. Rather than use only traditional materials, the company made its own foams with its concept while keeping two qualities in mind - bounciness and cooling. Let’s take a look at what the layers of this mattress are made up of and how hybrid construction works exactly. 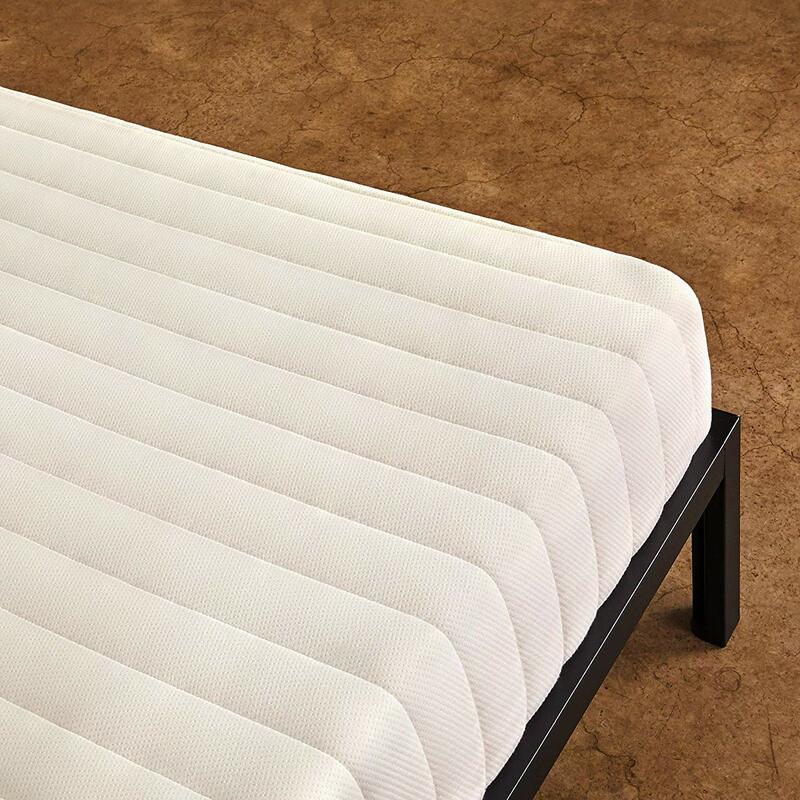 Cover: The mattress comes with a cover made from a blend of cotton and polyester. It is quilted with foam and soft to feel. This goal quilt is responsible for the immediate pressure relief that users feel when they sleep on this mattress as the mattress has a high level of sinkage and it hugs your body once you get on it. Comfort Layer: Under the cover, there is a comfort layer which is a 2-inch TitanFlex Foam made by Brooklyn Bedding. It is a material the feels like latex and it is responsible for the bounciness that this mattress offers. You will never feel stuck in the bed. The mattress also features a TitaniumGel infused into the layer to keep things cool and help you sleep better. Transition Layer: This section comprises of a much firmer TitanFlex Foam variant and is responsible for the transition between the pocketed coil system below and the soft top layer on top. Foundation Layer: This is the 6-inch base of the mattress and it is constructed with pocketed coils. This layer gives the mattress the pleasant bounce that gets you out of the bed conveniently without feeling stuck. The pocketed could have space between them to enhance airflow and with the cooling comfort layer, you can be sure of enjoying the bed with a controlled temperature at all times. The coils are wrapped individually which helps make sure you enjoy excellent motion isolation through the mattress. As mentioned above, the foundation layer is the major update here as it relaxes the high-density polyfoam with a pocketed coil system to bring about additional bounciness and quality cooling. This mattress is considered as an alternative to latex foam. It features a new technology that makes the mattress feel like a latex foam, but it doesn't cost anything close to what a latex foam costs. 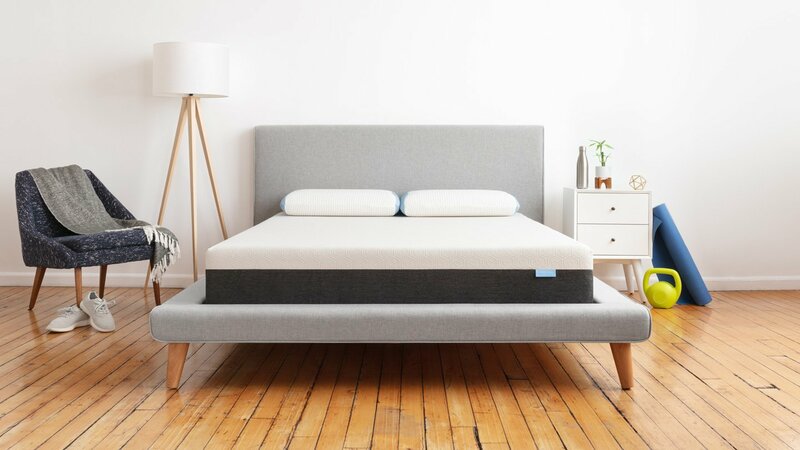 The top layers have the durable 6-inch pocketed cool base to rest on, and these same pocketed coils are responsible for the excellent motion isolation of the mattress. You would think that buoyancy Will be sacrificed to reduce motion transfer, but no, the mattress remains highly responsive. You can get the mattress in three different levels of firmness - soft medium and firm. The option with the soft level of firmness is rated 4 out of 10 on a firmness scale of 1 to 10 while the medium firmness level is rated 6 out of 10 on the same scale. The option with medium firmness is the most popular choice of most sleepers. Stomach sleepers choose the one with the firm option which has its firmness level at 8 out of 10. Whether you are light-weighted or above average in weight, you will find a suitable mattress to support your weight. It is highly responsive, and people with mobility issues will enjoy using this mattress. It offers excellent edge support. It comes with a comfortable soft cover. Some users complained that they experienced some heat while they were sleeping. Some users also complained that the mattress was too firm. Even though healthcare experts advise against sleeping on your stomach, a lot of people are only comfortable when they sleep on their stomach and changing can be difficult for these people. For people who are used to sleeping on their stomach, the best thing for them to do is to customize their sleeping surface to be comfortable and to reduce the disadvantages of this sleeping position. If you would like to know the most important factors that stomach sleepers should consider, continue reading this section. A responsive mattress is one that provides all the support that the weight of the body requires. A responsive mattress offers enough cushioning to match with the position of the body on the mattress. By doing this, the mattress will help keep the spine in proper alignment and prevent bending or curving of the spine. Stomach sleepers should get a responsive mattress to make the torso comfortable and preventing sagging of the abdomen so that the alignment of the spine does not get warped. 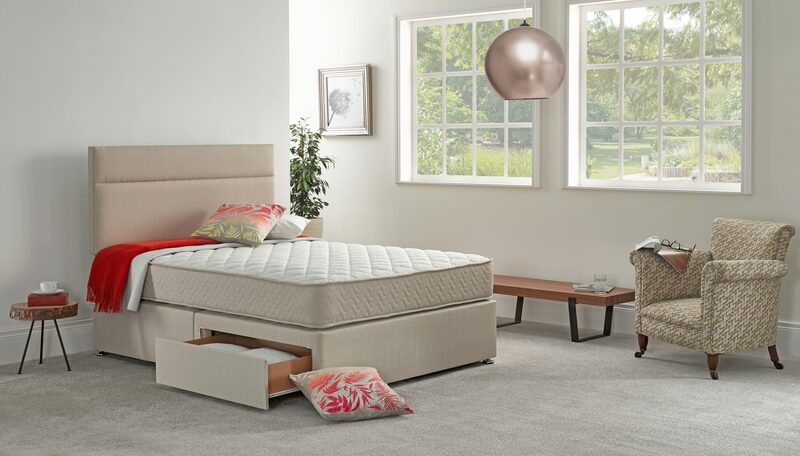 Firmness is also an integral part of the support a mattress offers, but it is more focused on how soft or hard the mattress feels and how comfortable it is to the user. Stomach sleepers should have no business with plush mattresses because they can make it difficult to breathe when sleeping on the stomach face-down. Firm mattresses too may be too hard for stomach sleepers to get a comfortable sleep. This is why mattresses with medium firmness level are recommended for stomach sleepers. Medium firmness is usually between 4 to 7 on the firmness scale. Stomach sleepers with low weight can get a medium firm mattress on level four while the ones above average weight should get a mattress with a level 7 firmness. This is particularly useful when buying a specific brand. You should never buy a brand of mattress blindly without having an idea what the experience of other people was like when they used the product. Check out mattress reviews from other stomach sleepers to see how much they enjoyed using their mattresses. Make sure the reviews you are checking is on reputable websites and from verified buyers. A mattress is a product that you will subject to daily use, and as a result, it should be able to withstand regular use as well. If you start noticing problems with your mattress not long after you bought it such as weakening in the center, then there is a problem, and the durability of such mattress should be questioned. You should never have to experience this as a stomach sleeper; thus, look for mattresses made from quality materials and patronize brands that have a known history of durable product offerings. The process of buying a mattress can be overwhelming, but there are some things that you must not overlook. The materials and ingredients used to make a mattress are important factors that determine how great the mattress will perform. While you are looking at the design of the mattress and how the layers of the mattress are arranged, you should also pay attention to the materials that make up each layer of the mattress. If a mattress is built with substandard materials, t will likely be defective along the line or break down after a period of use. You can take your time to study the specifications of the mattress on the website of the retailer or manufacturer. If you do not find this information anywhere, then there is a problem somewhere, and that is a red flag. After getting your hands on the specifications, check out the thickness of each layer and the materials used to manufacture each layer. Also, take note of the density and the ILD of the foams used. If any of the mattress’ layer is made using a weak layer, it could bring down the entire strength of the mattress. Is the comfort layer well-designed? If the comfort layer of any mattress is thin, you should be careful of buying such a mattress. The comfort layer of any mattress should be thick enough so that it will offer you the adequate support that you need. Aim for mattresses with a comfort layer that is 3 inches thick at least. 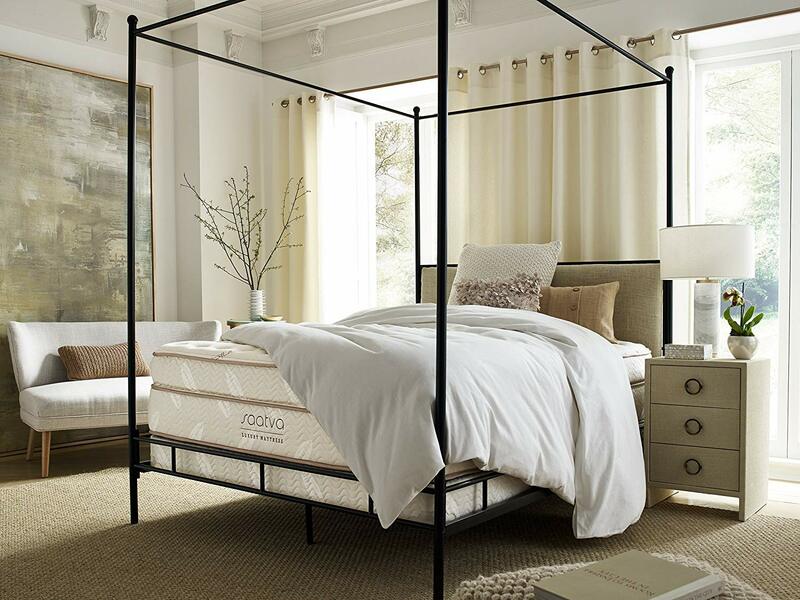 A high-quality mattress does not have to be overly expensive. You don't have to break the bank to get a mattress of high quality. To get the best value in a mattress, endeavor to do a comparison search, and narrow your choices down to one or two different brands. If a mattress costs more than other similar mattresses with the same design, then you should make sure it has an extra quality that sets it apart. Note that your total cost of purchasing a mattress will include the price of the mattress and the price of shipping it down to your location. You can also look out for mattress companies that offer free shipping. This is a common feature of mattresses purchased online. This because most times, buyers do not get the chance to test the mattress they are buying and as a result of that mattress companies offer sleep trials. A sleep trial allows a buyer to use the mattress for a selected number of days which could range from 30 days to 364 days. The most common sleep trial period is 100 days. This sleep trial allows the user to return the mattress if they do not like it and get a refund of their money. Some companies also bear the shipping cost of returning the mattress. You just have to make sure you read the terms and conditions on the mattress you are purchasing. This type of mattress is made from pure foam, and there are different types of foam such as viscoelastic foam also known as memory foam and poly foam. These foams are made up of distinct layers and depending on the kind of foam, and how thick the foam is, the softness and the compression of a mattress under the weight of the user vary. Latex foam mattress is made using synthetic rubber or natural rubber. Mattress built with just latex is called “all latex” or “true latex.” According to history, latex mattresses used to be more expensive than other mattress foam types but recently, the cost of latex mattresses has reduced. Latex mattresses are well-known for their high level of bounciness, and this material can also provide adequate support to the body. This mattress comprises of a support core made up of compressible metal coils when there is a weight on top of the mattress, and these metal coils spring back up when the weight is retracted. There are lots of characteristics that innerspring mattresses have, but the most notable feature is that their support base is bouncy. Innerspring mattresses can come with latex, foam or fabric top layers to provide extra cushioning. A hybrid mattress also contains metal coils in its support base layer just like the innerspring mattress. The only difference in the hybrid mattress is that more of other materials are used such as polyfoam, memory foam or latex. 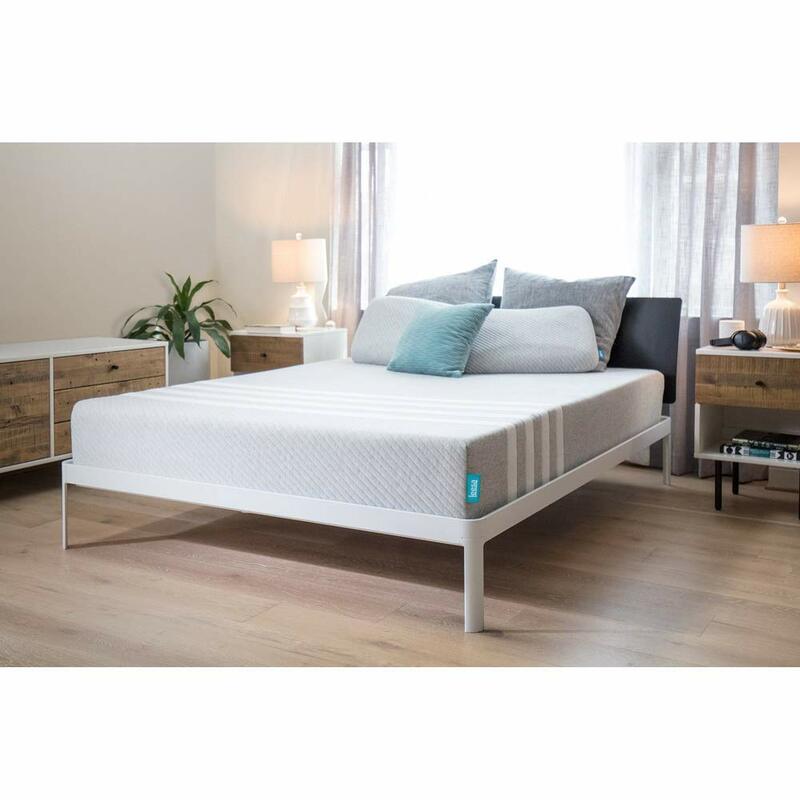 Therefore, the general description of a hybrid mattress is a mattress in which other foam materials are used to make a layer 3 inches or more above the support base. The concept behind the design of most hybrid mattresses is for this combination of materials should benefit from the strong innerspring coil support base while the top layer will provide comfort and contouring. Airbed is a known type of mattress, and it is more technologically-inclined because some airbeds make use of apps or a remote with which users can control the firmness of the mattress. Customers can easily modify the firmness of their airbed mattress, and some airbed models have their top layers made of latex or foam. Mattress designs come in different categories and types; thus, it is difficult to say that a specific type of mattress is what stomach sleepers should buy or stay away from. Check the specifications and details of every mattress to make an informed decision. Check below for how we rank different types of mattresses for stomach sleepers. This is considered the best mattress option for stomach sleepers especially the ones with a medium level of firmness. This kind of foam does not sink deep into the mattress, and any stomach sleeper will be comfortable sleeping on it. It could be a poly foam or memory foam. These are the most responsive types of foams that can accommodate the pressure points of stomach sleepers. Hybrid and Latex mattresses, depending on how they are designed can also provide a certain level of responsiveness. A latex or hybrid foam offers an extra level of bounciness which allows movement on the mattress since stomach sleepers tend to have more body movement than other types of sleeping positions. You have to be careful about buying this as a stomach sleeper. These mattresses can offer enough support, but they are not usually as responsive as the types mentioned above of mattresses. Therefore, before buying either of the two, make sure you check out the comfort layer before making your purchase. Even if we do not focus on the safety aspect, how feasible or comfortable can it be for a pregnant woman to sleep on her stomach? As a pregnant woman, once the pregnancy is progressing, it becomes increasingly difficult to get a position in which you can relax. If you, however, will not be able to sleep in other positions than on your stomach, there is a solution for you. You can get a donut-shaped pillow so you can enjoy your favorite sleeping position. Looking at it logically, it may seem like sleeping on the stomach as a pregnant woman is the most dangerous sleeping positions among the three types, and quite surprisingly, caretakers always sound it as a note of warning that pregnant women should avoid sleeping on their backs. This is to prevent a whole lot of issues and complications such as compressing the large vein along the spine which could lead to increased heart rate and dizziness. The best option is to consult with your caregiver about the concerns you have but generally as a pregnant woman, sleeping on your stomach is not altogether that bad as long as you are comfortable. Move the head in an upward-downward movement. Bend at the hips forward or lean backward. Even though the spine can do all of these things, you also have a role to play in keeping your spine healthy by making sure the discs are in a neutral position. There should be two distinct curves in the spine, and the bones should also be aligned properly almost every time. You have to always make sure that your spine is in a neutral position when sleeping because the modern way of life has made us all get used to standing or sitting crookedly. The percentage of smartphone users that stand the risk of having sore and inflamed discs in their neck is put at 58 percent according to The Washington Post. This risk is as a result of using smartphones and the posture in which almost everybody uses their smartphone. An average smartphone user bends their head to view the screen of their smartphone, and in this posture, the weight of the head puts some pressure on the neck and the discs in the neck. The result of this is pain and soreness in the neck and could cause long-term damage. Couple this passive activity with sleeping on your stomach. You will be putting your neck in regular discomfort and can cause permanent inflammation and strain to your neck discs. The absence of muscle tone. Repeating movements in the workplace. If you experience back pain regularly, you will probably be relieved to know that you are not alone in this kind of situation. The National Institute of Health Statistics has put forward the statistics of people who have pain in their lower back. In a survey, 27 percent of the respondents stated that they had lower back pain. Stomach-sleeping makes this pain worse. Pillows will raise your head to a level higher than your shoulder blades, and this makes your spine curve awkwardly as you sleep. If you tuck a leg up to your side, this might also make your lower back curve unnaturally. These can make back pain worse and can generate a new back-pain problem for you. To treat back pain effectively, therapies such as chiropractic care work. You could also undergo surgical treatment, pain medications and a host of other treatment methods. You also should not forget to pay utmost attention to the best mattress available to alleviate back pain. A lot of modern mattresses emphasize softness misleadingly. Many of these mattresses comprise of memory foams and extra layers of foam to give the feeling of a comfortable mattress with just enough sinkage to provide with enough comfort. However, these types of soft mattress are not suitable for stomach sleepers. When a mattress is too soft, it yields to the bonier and heavier parts of your body such as your hips to sink into the mattress. This way, your head will be placed highly while the rest of your body hip-down sinks into the bed and this leads to strain on your neck and mid-back. Thin pillows are recommended for stomach sleepers, and if used on a soft mattress as a stomach sleeper, your head may sink into the pillow which could lead to suffocation. Some memory foams also have a high rate of heat retention and will trap heat through the night. Thus, when you sleep on those foams on your stomach, and your body weight sinks into the mattress, the trapped heat can affect the temperature of your body. Stomach-sleeping is not the most recommended sleeping position, and even health care experts advise against the position, but it also has its benefits. We already established that people with back pain should stay away from this sleeping position because stomach-sleeping makes back pain worse. However, stomach-sleeping can be beneficial to people who have digestive problems and heartburn. Stomach sleeping is also effective in the alleviation of sleeping problems like sleep apnea and snoring. You can reduce back pain by placing a pillow under your hips or pelvic area. This will take substantial pressure off of your spine and keep the spine in a more natural position. When sleeping on your stomach, do not throw one of your legs to your side because by doing this, you will be twisting your lower back out of alignment and could result in pain. Never use a thick pillow when sleeping on your stomach. Using a thick pillow or having your head placed high above your shoulder blades will cause neck pain. Therefore, use a thin pillow or no pillow at all. You should pay attention to the level of firmness of your mattress. It should not be too firm or too soft; it should have a medium level of firmness. You do not want to keep sinking into your firmness and causing damage to your spine. Stomach-sleeping is not the best sleeping position, and if this is the position you are used to and have suffered from a great deal of back pain, you may want to train yourself to start sleeping in a much healthier position. You can use a pillow for this training by placing the pillow almost under your stomach and sleeping on your side. Over time you will become used to the new sleeping position. Keep your legs down when sleeping on your stomach so that you do not misalign your spine. Shoppers out for a suitable mattress usually put a lot of time and effort into making sure they buy the right mattress. This same energy and attention should be applied when purchasing your pillow too. Different types of pillows come in different densities, and as a stomach sleeper, you will do much better with a flat pillow. When sleeping on your stomach, for optimum comfort, it is best to sleep with your body as flat as possible, and this is why flat pillows are recommended. Overstuffed pillows elevate the head beyond normal level and can lead to your spine going out of its natural alignment. The importance of a proper pillow cannot be brushed aside for a stomach sleeper. And the only way to know a suitable pillow and an unsuitable pillow for a stomach sleeper is the height. The other factors that you should look at include cooling ability and moldability. IS IT BAD TO BE A STOMACH-SLEEPER? Sleeping on the stomach can reduce sleep apnea and snoring, but these are nothing compared to the neck and back pain that comes with sleeping on your stomach. Pain will not only affect you when sleeping; it will affect you when awake and can ruin your entire day. When sleeping on your stomach, your torso supports the bulk of your weight, and this does not allow for a natural alignment of the spine. If your spine gets misaligned, there may be pressure on the nerves which will lead to pinched nerves and the symptoms are pain and tingling sensation. Apart from having pain in your neck and having your back misaligned, stomach-sleeping involves the sharp turning of the neck to one side and this could cause neck disc hernia. WHAT KIND OF PILLOW IS THE BEST FOR STOMACH SLEEPERS? A stomach sleeper should get a thin pillow when shopping for pillows. A high pillow is not suitable for stomach sleepers to prevent the neck and spine from going out of natural alignment due to the awkward raising of the head. The pillow a stomach sleeper will use should be solid and must not flatten or get crushed easily so that it can support the weight of the head adequately. A suitably supportive pillow will keep your head, neck, and spine on their rightful positions and help you achieve a healthy deep sleep through the night. You can get thin memory foams because of their ability to stay in shape for a long time. ARE THERE SUPPORTING ACCESSORIES FOR STOMACH SLEEPERS? Yes. Some body-pillows can be positioned to support the body to relieve back pain. There are also full body pillows capable of contouring around the body so you can mold them as you need. Also, there are full positioning systems that allow you to lie down on your stomach and lifts the hips so that you can have the most stomach sleeping support. Stomach sleeping does not have enough support in the healthcare world, and most stomach sleepers have experienced one form of discomfort or the other. This is because an average consumer who is a stomach sleeper does not know the type of mattress that is suitable for their sleeping position. This is why we compiled this guide to educate you on the type of mattress you should buy. Whether you want to get a more comfortable mattress or you want to get a mattress that is more suitable for stomach sleeping, we expect that you now know the exact things to look out for now. Take advantage of the easy access to information on the internet, product reviews and product descriptions for the recommended product, and you will discover a genuinely suitable mattress for your sleeping position and allow you enjoy sleeping on your stomach in the most comfortable way possible.